Enlisting Faith: How the Military Chaplaincy Shaped Religion and State in Modern America. Ronit Y. Stahl. Cambridge, MA: Harvard University Press, 2017. Military chaplains in the United States armed forces occupy a curious position. As commissioned officers, they are religious professionals employed by a government constitutionally constrained to keep out of religion, but, as clergy, they are tasked with supporting the spiritual needs of personnel in an age when religious affiliation is increasingly diverse and individualistic. 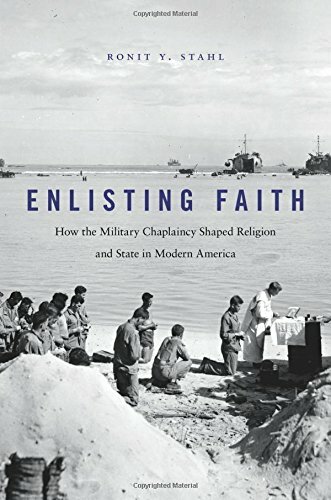 Thus, while some might see chaplains as anachronistic, or even as an affront to the principle of separation of church and state, Ronit Stahl, a scholar of modern American social history, argues in Enlisting Faith: How the Military Chaplaincy Shaped Religion and State in Modern America that the military chaplaincy has been and continues to be a driver of change in American religion and society. Given the perennial argument over whether the United States military should or should not be a social laboratory, Stahl’s book invites fresh consideration of the connections between military and society. Two graves bookend Stahl’s narrative. The first was hastily dug in France in 1944 for Leonard Shapiro, a Jewish soldier buried as a Roman Catholic because a chaplain mistakenly concluded his name must be Italian. Shapiro’s mother was distressed to receive a letter from that chaplain, assuring her that her son’s “grave was blessed, and Masses were being said regularly for him.” The mother’s complaint began an investigation that went all the way to the Army Chief of Chaplains, who ordered the grave to be marked with a Star of David and prayers said according to Jewish rites. The second grave was dug almost sixty years later in manicured Arlington National Cemetery for Humayun Khan, a U.S. Army officer and the son of Pakistani immigrants who was killed in Iraq. The carved star and crescent on Khan’s gravestone, and the prayers of a Muslim chaplain, clearly identified his faith. These two graves, and the proper religious identification of their occupants, show how the chaplaincy was charged, both pastorally and administratively, with managing religious difference. Stahl’s thesis is that, by entrusting chaplains with this task, the U.S. military thus created a “state-sponsored American religion” to serve the particular religious needs of its personnel and of their families. This idea will challenge readers for whom the idea of the separation of church and state is second nature, but the book persuasively argues that chaplains worked in, and indeed created, a state-sponsored religious system. Originally designed to promote a common character and morality in a disparate soldiery, the chaplaincy adapted to—and even furthered—the religious diversity of an increasingly pluralistic society by defending the rights of minority believers like Khan. Stahl begins her account in 1917 with America’s entry into the First World War, as the state struggled to create an army of 3.5 million men drawn from a diverse society. At that point in American history, decades of immigration had created sizeable Catholic and Jewish communities that belied the extant popular myth of America as a Protestant country. The challenge for the military was to provide recruits from these different communities with religious leadership and influence that would, in General Pershing’s words, inspire “patriotism, discipline, and unselfish devotion to duty.” Pershing put this challenge into the hands of an ecumenically minded clergy shaped by a liberal protestant belief best described in a contemporary slogan as a “brotherhood of man under the fatherhood of God.” The newly expanded U.S. chaplain corps thus had a commitment to what Stahl calls “moral monotheism,” a sense that Protestants, Catholics, and Jews had a shared belief in the good, and could thus be ministered to more or less interchangeably. In the second half of her book, Stahl describes the comfortable idea of “moral monotheism” giving way as diverse groups sought legitimacy through representation in the chaplaincy. The mid-century ideal of “tri-faith America” as a partnership of Protestants, Catholics, and Jews was “more fictive than real” because it did not reflect the deeper complexity of racial and religious diversity. Minority faith groups—Mormons and Seventh Day Adventists in the First World War, Christian evangelicals, Orthodox, Buddhists, and Christian Scientists in the Second—saw representation within the chaplaincy as a legitimization of their desire “for inclusion, equality, and full citizenship.” African Americans likewise pushed for greater representation in the chaplaincy, a difficult task in the segregated military. A common Christian faith did not guarantee racial equality. Black chaplains were restricted to serving same-race units, endured widespread racism along with the troops they served, and were punished by chaplaincy leaders for acts detrimental to the service if they preached against racial injustice. The Cold War-era began with attempts to maintain a national religious character. To this end, chaplains enlisted in Character Guidance programs designed to teach military members the Judeo-Christian American inheritance as a bulwark in the fight against communism. Centrifugal forces were at work, however. The Vietnam conflict inspired a pacifism not seen since the 1930s and caused Jewish and mainstream Christian seminaries to steer graduates away from the chaplaincy. Evangelical Christians filled the gap and pursued their own particularities of belief and practice, undermining the liberal, ecumenical theological consensus that had long undergirded the chaplaincy. New immigrant groups such as Sikhs and Muslims began to enter the military, and made the tri-faith ideal obsolete. By the 1980s, the pragmatic accommodation of religious difference had thoroughly replaced the idealistic vision of a uniting moral monotheism. The chaplaincy survived constitutional challenges to its existence, and was refocused, however imperfectly, on a pluralistic vision of service to the individual religious needs of military members like Humayun Khan. Ronit Stahl’s book is a thoughtful and well-researched account of a singular religious institution, the military chaplaincy, that has weathered a century of profound social change. She is certainly right to portray the chaplaincy as a battleground for American faiths and as a pathway to recognition for minorities. This dynamic has unfolded since Catholic priests followed their flocks into the army to fight the Civil War in a nativist America. Stahl is also correct to see the chaplaincy as a significant and unique state intervention into religious life, although she sometimes left me wondering who really drove this project. Stahl’s claims that the military or the state constructed a religious institution, which reflects the ambiguous status of the chaplaincy as a religious institution established by the state, left me looking, mostly in vain, for the fingerprints of a president, a politician, or a general who pursued this vision and who played a particular role in this process. It may well be, as Stahl herself says, that this grand project was essentially contracted out to clergy in uniform by politicians and generals too busy running complex wars to care about the fine details of military ministry. After all, Dwight D. Eisenhower’s famous remark that “our government has no sense unless it is founded in a deeply felt religious faith, and I don’t care what it is,” gives a profound sense of latitude afforded those paid to manage religious faith in the military. My complaints in reading this ambitious study are few and largely minor. For example, as a religious and social historian writing for a relatively expert audience—not unnatural in a work that began as a PhD thesis—Stahl assumes a significant degree of background knowledge and some readers may struggle with the fine differences between faith groups. Stahl also writes with considerable literary flair, and while some devices such as the organizing idea of the two graves are illustrative, some readers may find her love of metaphor distracting. A more important complaint is the omission of any significant discussion of the U.S. military and religion during the so-called Global War on Terror. How did the chaplaincy manage crises, such as the 2009 Fort Hood shooting by Nidal Hasan, while advocating for the role of Muslim service members? How were chaplains employed as religious advisors in theatre? Did the chaplaincy experience internal tensions based on perceptions of a clash of civilizations between the West and Islam? Finally, some demographic information on the current makeup of the U.S. military chaplaincy by religion and denomination would help the reader situate Stahl’s claims of it being an increasingly pluralistic organization. Enlisting Faith offers a valuable account of a sometimes obscure but significant military institution. In an age when some want to preserve the military ethos from social changes, Ronit Stahl reminds us that concerns for authentic individual expression, in the form of religious belief, have been in play since the United States began mobilizing its citizen soldiers in the modern era and even earlier. Perhaps the greatest value of this book is that it shows us how the U.S. military has been a social laboratory for many decades, thanks in large part to its seemingly innocuous and oft overlooked chaplains. Michael Peterson: Your book began as your 2014 PhD dissertation, “God, War, and Politics: The American Military Chaplaincy and the Making of a Multi-Religious Nation.” Not every graduate student has her PhD thesis published by Harvard University Press, so well done! What attracted you to this research subject? Did the scope of your research, and your thinking about it, evolve as you went from dissertation to book, and if so, how? Ronit Stahl: Thank you! This project started with my interest in religion and the state, a subject which has long been the province of legal scholars and less well tended to by historians of modern America. Meanwhile, while doing an M.A. in education, I knew someone researching the training of hospital chaplains, which launched me into thinking about the chaplaincy and the array of venues in which chaplains work—hospitals, prisons, businesses, and of course, the military. The more I thought about it and the more I started reading, the more interesting the military became. Once I dipped into the archives and found an amazingly rich and varied collection of sources, I was set on the military chaplaincy. As I did more research, I found some personal connections as well, including a letter between two chaplains: the husband of my kindergarten teacher and the father of a kindergarten classmate. As I moved from dissertation to book, I moved the endpoint from Vietnam to the early 1990s. It took a while to figure out what periodization the story needed. I knew Vietnam was the wrong endpoint, because too much changed in the aftermath of Vietnam to not write about it. One mentor reminded me to let the material drive the narrative arc, so I made a lot of outlines and played with a number of different options to work it out. In the end, I decided that ending with the appointment of the first Muslim military chaplain made sense because it mirrored the opening of the chaplaincy to minority faiths in 1917. Using the moments that marked religious change within the chaplain corps helped illuminate what changed, what changed slowly, and what didn’t change about the chaplaincy over the 20th century. Quite positively. One of the true delights of having the book out in the world is hearing from readers, and those who have reached out have told me it’s informative and engaging. It’s especially gratifying to hear from a retired chaplain who told me he’s learned from the book, from current chaplains who tell me they’re excited to read it, and from readers who let me know me know it’s prompted conversations with their family members about their military experiences. It’s also been exciting to connect with historians, academics, and policymakers who say they’ve found it persuasive, thought-provoking, and a good read. There have been some quibbles, of course, but hearing that Enlisting Faith has been a conversation starter is a fantastic response. Your book tells the story of how “the military constructed a state religious institution.” That claim may startle some readers because it seems to challenge the widely held idea of a separation between religion and the state. My understanding is that by “state religious institution,” you are indicating both the reality of the chaplaincy as a government sponsored organization, as well as the chaplaincy’s mandate to manage religion in the public/state realm as represented by the military. Who directed the construction of this state religious institution? Was it an ad hoc process over many decades and wars? Did busy generals basically entrust clergy to make it happen, as in the way that you describe John Pershing enlisting his friend Bishop Brent to organize the chaplaincy of the American Expeditionary Force in 1917? You describe a few congressional interventions on behalf of certain faith groups, but did you find any evidence in later decades that senior military and political figures wanted the chaplaincy to have a certain strategic direction or effect? I ask these questions because, in my own experience as a chaplain in an allied military, senior leadership often finds religion an awkward and unfamiliar subject, and generally allows chaplains to manage their own affairs. The development of the chaplaincy was often an ad hoc process, an accumulation of incremental decisions that built a robust institution. In turn, the chaplaincy evolved through both government-led shifts (e.g., opening of the chaplaincy to minority faiths, appointing Chiefs of Chaplains, etc) and civilian agitation for change (e.g., recognizing more religions on dog tags, addressing a greater variety of ritual needs). This is not to say there was never any forethought, but rather that war often forced quick, pragmatic decision-making. For the most part, the chaplaincy guided itself with relatively little intervention from senior military or political figures. 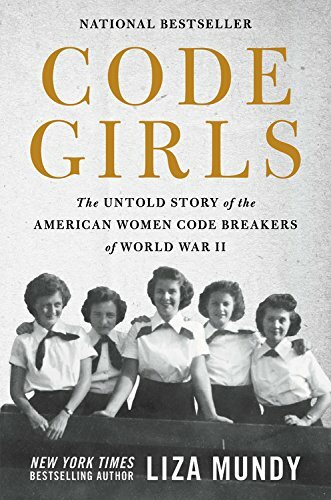 There are some instances in which change came from above in later decades—for example, when Chief of Naval Operations Elmo Zumwalt ordered the inclusion of women in the chaplain corps. In this sense, the chaplaincy is an institution within an institution, sometimes distinct from, but always responsive to larger changes in the military and American society more broadly. You use the term tri-faith to describe a kind of slowly evolving equal status for Protestants, Catholics, and Jews in American society. Other scholars such as Kevin Schultz locate the emergence of tri-faith America in the mid twentieth century, but you suggest that we can see the tri-faith ideal emerge much earlier, during the First World War. You also describe the tri-faith ideal as being “more fictive than real.” Could you say more about your own understanding of the vision of tri-faith America, and why it’s important for the story that you tell? 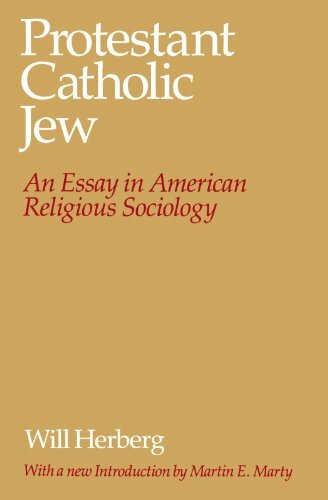 Tri-faith America is often tied, historically, to the publication of Will Herberg’s 1955 best-seller, Protestant-Catholic-Jew, and scholars such as Kevin Schultz, Wendy Wall, and Jonathan Herzog have done a wonderful job highlighting its importance in and to mid-twentieth-century America. As I dug into the archives, however, I noticed that references to America being comprised of Protestants, Catholics, and Jews started much earlier. During World War I, the military started organizing religious opportunities via this tri-faith metric, even though it didn’t use the term. It naturalized the idea that seeing Protestants, Catholics, and Jews as equal was part of what became known as the American Way. During the interwar years, the military chaplaincy flagged this tri-faith worldview in numerous ways, including the speakers at conferences, the new Army and Navy Hymnal, and Civilian Conservation Corps radio shows. By the 1930s, the National Conference of Christians and Jews (NCCJ) is leading the civilian effort to frame American religion in these tri-faith terms, and the NCCJ and the military collaborate to promote it more extensively during World War II. What this shows, I argue, is that World War II is the moment the tri-faith America—as idea and ideal—goes public. The public offering, so to speak, is the culmination of a quarter-century of work by the military to help develop and build the infrastructure of tri-faith America. At the same time, it’s critical to recognize that American religious diversity extended far beyond three faiths. The category of Protestant was shouldering a lot of work, in and outside the military. One way this becomes evident is through dog tags. In World War II, soldiers could choose from three options: “P” for Protestant, “C” for Catholic, and “H” for Hebrew (the racial marker from the 1890 census still being applied to Jews). But this excluded a lot of groups, or rather, made a lot of groups into Protestants. The Eastern Orthodox, Mormons, Buddhists, and Muslims were among the religious groups that bristled at this categorization and lobbied for change (which took until 1959, when regulations granted everyone eighteen letters with which to spell their religion). You describe the growing influence of evangelical Christians in the chaplaincy, particularly as Jewish and mainstream Christian groups lost faith in their partnership with the military during and after the Vietnam War. Scholars like Kim Hansen have drawn attention to culture wars and increased particularity in the chaplaincy, and suggest that this trend is problematic. You seem fairly sanguine about the ability of the chaplaincy to adapt to and even promote a pluralistic vision. How does the chaplaincy balance religious particularity with a commitment to pluralism going forward? The tension is real, in part because enabling pluralism within an institutional space necessarily limits some particularity. Kim Hansen and Anne Loveland have both done important work in documenting how the culture wars in the chaplain corps are playing out now. It is clear to me the military—the chaplaincy and the military writ large—is both more religiously diverse and more evangelical than it was in the past. The April 2017 list of Faith and Belief Codes lists over 200 different options, including Muslims, Sikhs, Buddhists, Hindus, humanists, atheists, and many many Protestant denominations. As an ideal and a matter of belief, religious freedom is not a zero-sum game. But when it comes to resource allocation and permitted activities, there can be competition (e.g., for funds, chaplains, etc.) and friction (e.g., to what degree can religious practices be restricted or imposed on others?). As a result, a lot will depend on how the military chooses to manage this tension. To what degree will it allow chaplains to act in more sectarian ways, and to what degree will it insist that entering the chaplaincy means taking on a role that mandates an inclusive, pluralistic, and non-sectarian approach? It’s important to remember that while the specific religious actors differ, the tension between pluralism and particularity is not new. In earlier periods, it was Catholic chaplains who often faced tough choices between the Vatican’s resistance to ecumenism and the military’s embrace of interfaith activity. During World War II, Army Chief of Chaplains William Arnold, who was Catholic, insisted that Catholic chaplains find a way—they didn’t have to hold joint or combined services, but they had to tend to the needs of everyone and could not use their faith to reject the legitimacy of others. Arnold’s leadership was tremendously important, because he used his power to emphasize a pluralist ethos, rather than prioritize his own faith’s interests. Finally, as a historian, I’m far more comfortable reflecting on the past than predicting the future. While the epilogue of Enlisting Faith offers a brief statement about the present tension in the chaplaincy, it’s intentionally short and grounded in the evolution of the chaplaincy over the past century. My commentary in the present is limited, in part, by less access to sources, especially the internal memos and correspondence that illuminated the conflicts of the past in such great detail. Religious belief and practice has changed greatly since you described Joseph Odell saying in 1917 that “religion…fits into the order of the day as naturally as the meals in the mess-room.” Multiculturalism, immigration, and secularization (I couldn’t help but notice you didn’t address the fact that America is slowly becoming more secular) mean the tri-faith religious consensus of Odell’s day has vanished..or is at least fading. My own sense is that the promotion of intentional belief and the daily free exercise of religion is the one of the most significant functions of the chaplaincy today. How would you respond to that idea? From talking to present-day chaplains, my sense is the mandate to “always be there” for personnel has endured. The question, of course, is what that means. Religious traditions rest on varying combinations of belief, ritual, community, and learning. Some emphasize faith, others questioning. As a result, the ability to facilitate free exercise for all, including those who are questioning their faith, requires dexterity. Understanding how to meet people where they are and enable them get where they want to be, especially when that end goal may differ from that of a particular tradition, the chaplain, or the military, can be both strenuous and inspiring, but it definitely isn’t easy. Given the range of both religions and religious commitments, I tend to be a little wary about proclamations of secularization. Rates of affiliation or membership or attendance are ultimately proxies for a much-harder-to-answer set of questions: When, why, and how does religion matter in people’s lives? The answers certainly signal shifts in what identifying as religious or claiming religion encompasses. I’m not sure they indicate secularization as much as people forging their own paths outside traditional religious structures. That said, the public culture of American religion has certainly changed, as have religious politics, and that is both fascinating and in need of rigorous analysis. Those reading this interview may be more familiar with military science than with the religious studies or the social history background you seemed to assume of most of your readers. What lasting lessons and conclusions do you hope that your military readers might take from your book? Paying attention to the social and religious dynamics of the American military tells us a lot about the military and, simultaneously, a lot about America and American society. In other words, as an institution, the military has done far more than fight wars; it also shaped the relationships between the state and its citizen. I’ve spent a fair amount of time talking to historians and religious studies scholars about the importance of the military. We’re missing a lot if we don’t pay attention to the armed forces. The reverse is true as well; we’re missing a lot if we don’t pay attention to the social and religious worlds of the military...in all their messiness. There’s a lot to learn by closely examining the social and religious milieu of the military as a dynamic, complex environment that both influences and is influenced by civilian society. Any final thoughts for the readers of Strategy Bridge? Keep reading! And if you or your family members have letters, diaries, or other material that speak to military experiences, think about how to preserve them. One option is the Veterans History Project at the Library of Congress, which has done great work collecting and digitizing archival sources. As Stahl notes (258-259), Captain Khan’s parents played a controversial role in the 2017 Democratic National Convention and federal election. The family’s story reminds us of how military service has long been seen by immigrants as a path to normalization and legitimacy in American society. The slogan is attributed to Adolf von Harnack, a German theologian who had great influence upon liberal Protestantism and the ecumenical movement of this era. Kevin Schultz, Tri-Faith America: How Catholics and Jews Held Postwar America to Its Protestant Promise. New York: Oxford University Press, 2011. Kim Philip Hansen, Military Chaplains & Religious Diversity. London: Palgrave MacMillan, 2012.